Some people believe that if you work in an industry that is dedicated to the service of others, then you should not care about things such as appearance, fashion, material possessions, and the like. True altruism. If that is a person’s belief system and values, then I am not putting it down, to each his own. However, that is not me! I have a certain lifestyle that I am aspiring to, and I am not ashamed to talk about it. I have struggled with what I call the “Not Good Enough Syndrome” for a long time. I have just started to come out of it in the last few years. My feelings of insufficiency developed from different experiences in my past. Becoming a teenage mother at the tender age of 14, of course I faced a lot of judgment, and disappointment. When my daughter, LaDaejha’ was 4 years old, she passed away from an unknown virus. Losing her was the most challenging experience I have ever faced. There was no reason why she died, they had no explanation, she was just gone. So, that also made me feel not good enough. Did God take her because I was so young when I had her? Was I not a good enough mother? I was 19 years old when she died. After that I was unstable emotionally and mentally for many years. I was homeless and unstable living from place to place from the ages of 19-21. I found my stability and independence by becoming a stripper at age 21. Once I became a stripper, forget about it! I was definitely not good enough then. 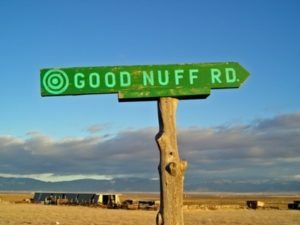 After I started on the track of getting my life together, finished college, started a career, and was doing well, I got married (twice) in my attempts to prove “see I am good enough,” but that only made it worse. Getting divorced twice added to the stigma of again not being good enough. My second ex-husband’s family said I wasn’t good enough for him; and I had a similar experience with an ex-boyfriend years before. It took years of prayer, self-reflection, maturity, and a lot of hard work to find my value. Well I declare that I AM good enough! I’m good enough to live the lifestyle that I desire, I’m good enough for that man, I’m good enough to have a great career, I’m good enough for anything that I desire out of life. As always, my purpose is to motivate and inspire, particularly women in poverty who are trying to change their life. My advice today: decide what you want out of life for yourself, and do not limit yourself by what others say you should have. You do not have to be limited to a life of Section 8, no good baby daddy’s, food stamps, handouts & giveaways, mean and nasty DHS workers, low paying and back breaking jobs, and endless drama for the rest of your life. Do not let fear and other people’s opinions determine your destiny. YOU get to determine your destiny. After you decide what you want, then it is up to you to make it happen. Always remember, one word from the mouth of God will change your entire life. You can have everything that the world says you are not supposed to have. When I was younger and still in the fire, I was both lost and determined, even though I know that sounds like an oxymoron. 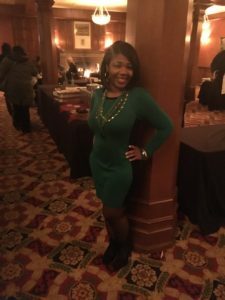 I was lost, heartbroken, and confused…..but, I also knew there was more to life then what I was living and seeing in my environment, and I was determined to find it. I didn’t know how to articulate it, but I knew I wanted “something.” Now I know what I want in every area – I know what career I want, I know what income I am aspiring to, I know what kind of man I want to marry, I know what kind of house I want to live in, I know the car I want to drive, I know the style I want to have, and most importantly I know who I am. Some people reading this may not understand, but some will. 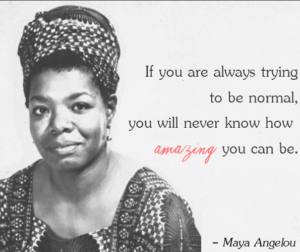 Particularly women who are not content, and are seeking something different. They will know exactly what I’m talking about, and that is all that matters. 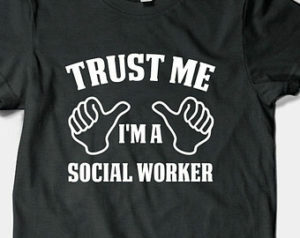 So, there you have it, I am no average Social Worker, and I am no Mother Teresa! I will not be winning any noble peace prizes, and I do not have a perfect past. I strutted into an event given by my employer last week in a skin tight, short dress, fishnet stockings, and high heels! And guess what? I don’t care what anyone thinks about it! You can take me or leave me. I finally know who I am and I finally know that I AM GOOD ENOUGH! I am just as good as the next person and I don’t have to dumb myself down to prove it! Isn’t that ironic, after all of this time I realized that by trying to be normal and be what everybody else wanted me to be, I was actually dumbing myself down. I was always good enough, I was actually MORE than enough. I can finally walk in my own shoes, and I am determined that one day they will be a pair of Louboutin’s!